Some of Bitcoin’s Core developers have left the Bitcoin project and started building their separate cryptocurrency called DECRED. CEO of 'Company 0', Mr. Jacob Yocom-Piatt, who has funded Bitcoin development since early 2013, said the actual development of the Bitcoin cryptocurrency is funded by external entities that forms a conflict of interests between the groups and the project's core developers. According to Bitcoin's developers, these group puts limitations on input in Bitcoin's governance, selecting options that are favorable to their own interests only, and generally ignoring the developers' and project's best interests. "The Bitcoin software is controlled by a small group of people who decide exclusively what can and cannot be changed," Jacob says in a press release. "This is in part due to a lack of mechanisms and pathways for funding development work directly from the community, and, as a result, Bitcoin development is funded by external entities that create conflicts of interest between the developers and the representative power of the community that uses Bitcoin." 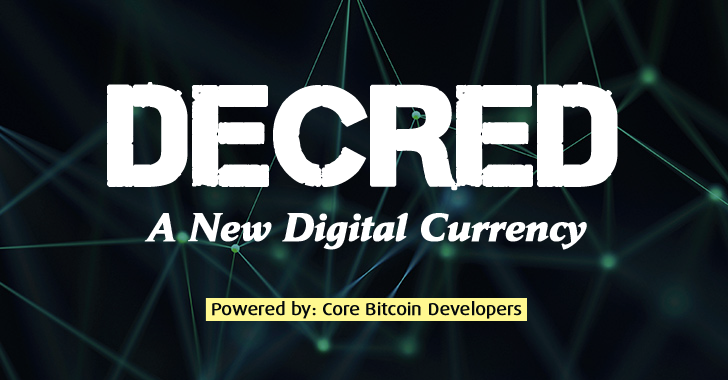 So, in order to address this issue, some of the Bitcoin developers have joined hands with the makers of the widely used BTCsuite and are now building their own new digital currency called DECRED. Decred, managed and funded by Company 0 LLC, is an open and progressive cryptocurrency that will adopt a more decentralized community-based governance integrated into its blockchain. The team has the advantage to make Decred a really great product as they already have experience with Bitcoin. Decred has an Airdrop scheduled for next month (20 days and a few hours from now) where they’ll be giving out 4 percent of the total Decred supply to all participants. Interested developers can take part in the Airdrop by filling in their details on Decred website.